Owners of Maxi Scooters and Moto 125/200 machines looking for a more muted finish for a replacement exhaust, need look no further than the “Black Line” range from Giannelli. 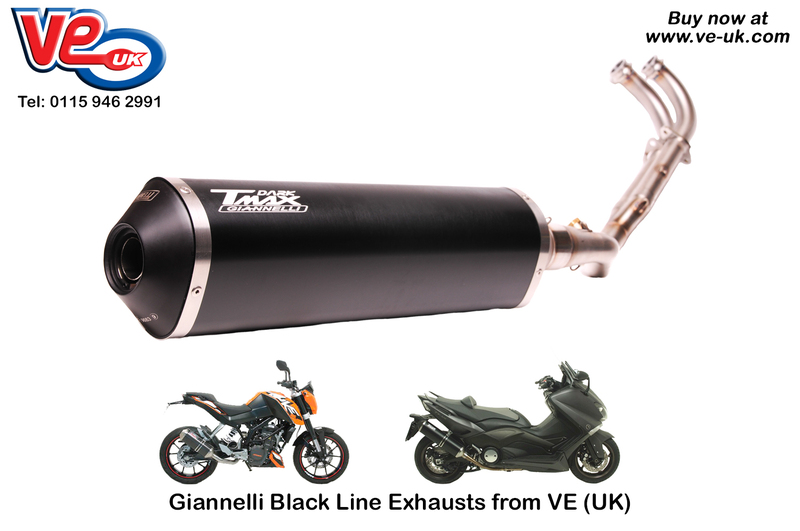 The Giannelli “Black Line” range of exhausts, combines both quality and performance at a very affordable price. The silencer comprises of a squared tubular section in brushed black finish with stainless steel end capping, and are supplied with link pipe and matching downpipes where required. The exhaust systems include all brackets, bolts, etc, that are required for fitment. The complete exhaust system is exceptionally light and designed to give a boost in performance in the mid to high rev range. Moto 125: Derbi GPR 125 4T 4V, Honda CBR 125 R IE 2011>, Keeway RKV 125, KTM Duke 125/200 2011>, and Yamaha YZF R125. This entry was posted in Automatic Parts, Moto 50/125 Parts. Bookmark this page.